SPF50+ broad spectrum very high protection sunscreen in a convenient 200 mL tube. Fast-absorbing, dry-touch formula rubs in easily in seconds. 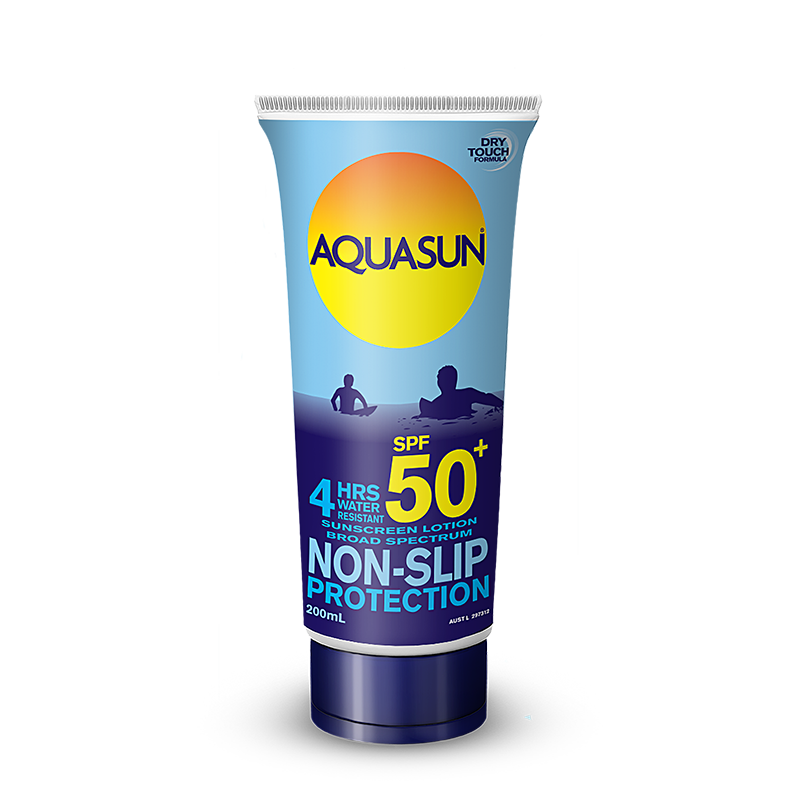 What is Aquasun SPF50+ for? 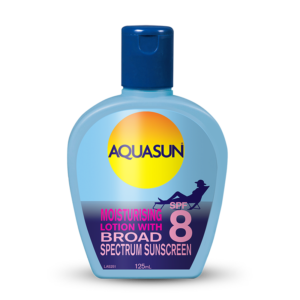 Who is Aquasun SPF50+ for? 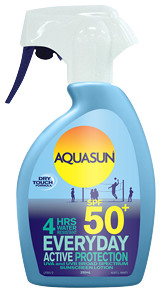 Aquasun SPF50+ is perfect for everyone, and great for those who love the outdoors. When should I use Aquasun SPF50+? Apply liberally 20 minutes prior to sun exposure, and re-apply every 1-2 hours or after swimming, exercise, excessive perspiration or towel drying. T he average-sized adult needs a teaspoon (35mL) of sunscreen for their head and neck, each limb and for the front and the back of the body. 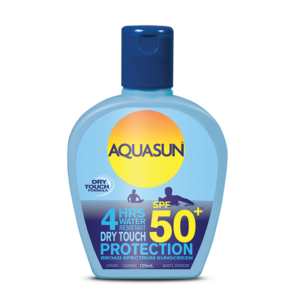 Why should I use Aquasun SPF50+? Aquasun SPF50+ contains broad spectrum sunscreen which if applied correctly, helps block UVA & UVB rays. Frequent and correct use of high protection sunscreen can aid in the prevention of premature skin ageing, can aid in the prevention of solar keratosis, and may assist in preventing and reducing the risk of some skin cancers. Apply lotion liberally and generously onto clean, dry skin and rub in evenly. The average-sized adult needs a teaspoon (35mL) of sunscreen for their head and neck, each limb and for the front and the back of the body. Contains phenoxyethanol. Contains benzyl alcohol. For external use only. Keep out of eyes. Sunscreen is only one important part of sun protection. Wear protective clothing, hats and eyewear when exposed to the sun. Avoid the midday sun between 11am & 3pm and avoid prolonged sun exposure. For effective sun protection, apply sunscreen 20 minutes before you go outside and re-apply again every two hours. Remember to reapply after swimming, exercise, excessive perspiration or towel drying. Do not apply to broken, damaged or diseased skin. Avoid contact with fabrics as the UV filters in this product may cause staining. If a rash or irritation develops and lasts, discontinue use and contact a doctor. For sensitive skins, test product for any skin irritation on a small area of the skin prior to use.